The novel is savagely realistic in its description of relationships between squabbling siblings and its forensic teasing-out of a family’s secrets. 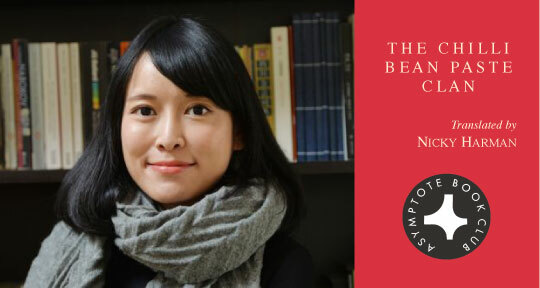 Continuing our Asymptote Book Club interview series, Assistant Editor Kevin Wang talks to Nicky Harman, translator of Yan Ge’s The Chilli Bean Paste Clan. 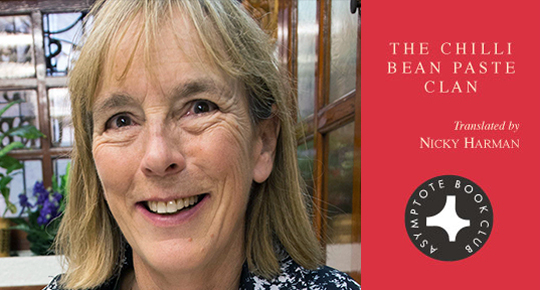 In addition to co-Chair of the Translators Association (Society of Authors), Nicky Harman is one of the foremost contemporary Chinese-to-English translators and a passionate advocate for Chinese literature in English. Her previous work includes translations of novels by Jia Pingwa and Xu Xiaobin. Kevin Wang (KW): In your acknowledgements, you mention that Yan Ge “went above and beyond the call of duty in examining and discussing the English text.” How would you describe the differences between working with an author closely involved in the process and translating a nonliving author? Nicky Harman (NH): Well, I do like my authors to be alive! I almost always want to be able to raise a few queries with them. For instance, with Jia Pingwa, I needed to know more about a rudimentary cooker that the migrant workers used in 高兴 (Happy Dreams). He kindly did a sketch for me, and it turned out to be made from an old oil drum. That’s the kind of crucial information that you couldn’t get if the author was dead: in this case, the internet was no help. It is delightfully irreverent and dead-on in its descriptions of a dysfunctional modern family, resembling an uproarious dinner party. Four years on, Yan Ge’s “delightfully irreverent” novel is finally appearing in English, thanks to Balestier Press, and Asymptote Book Club members will be among the first to sample a “masterful translation” by Nicky Harman.